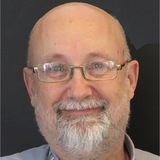 Woody Zuill is an independent Agile Guide and Coach and has been programming computers for 34+ years. He is a pioneer of the Mob Programming approach to teamwork in software development, and is considered one of the founders of the “#NoEstimates” discussion on Twitter. His passion is to work with teams to create an environment where everyone of us can excel in our work and in our lives.